The is used before nouns to talk about something with which the listener or reader knows about. 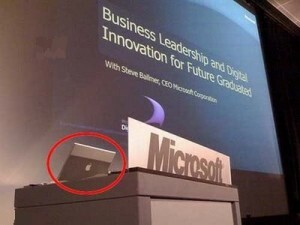 The laptop on the desk was made by Apple. • I saw the moon last night. • The capital of France is Paris. • There is some milk in the fridge. The first time you talk about something use a or an. The next time you talk about it use the. • I want to buy an umbrella. • I want to buy the blue umbrella we saw yesterday. • There is a woman in reception. • The woman from the bank in reception. • I live in a big house. The house is old and has four bedrooms. • I was on holiday last week. The hotel was very good. Remember: When you know what it is use the. Re-write each sentence CAREFULLY using the where necessary. Loch Ness is most famous lake in Scotland. Loch Ness is the most famous lake in Scotland. The because the can only be one most famous lake in Scotland. Smog is a problem in big cities. A, an and the go with singular nouns. Cities is a plural noun so no the. I spoke to a / the manager. Both a and the are possible. A manager would mean that there is more than one manger. The manager would mean that there is only one manger. It’s the first road on right. It’s the first road on the right. The because the can only be one first road on the right. Summer of 1996 was hot and dry. The summer of 1996 was hot and dry. The because the can only be one summer of 1996. I think exporters should get more help from Government. I think exporters should get more help from the Government. A, an and the go with singular nouns. Exporters is a plural noun so no the. The because the can only be one government in a country, so the listener would know which government is being talked about. The man at the back is not a priest.